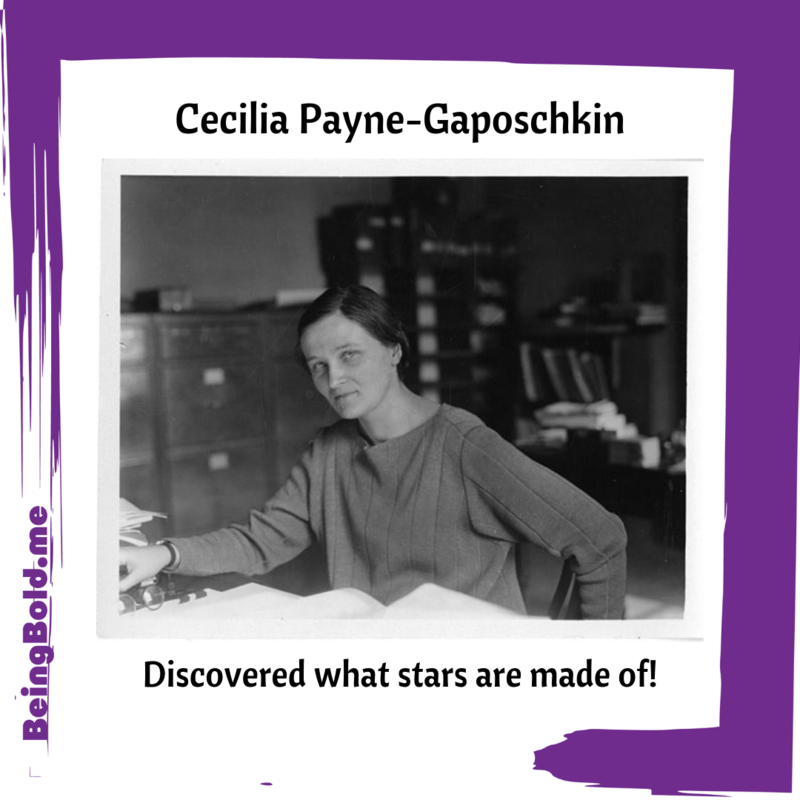 Cecilia Payne-Gaposchkin was a British-born American astronomer and astrophysicist who was born May 10, 1910 and studied at Cambridge University and Harvard University. She’s the person who figured out that stars are mostly made of the lightest two elements – hydrogen and helium. It’s hard to believe, but scientists in her time thought that sun was made of pretty much the same elements as the Earth is! She was the first woman to ever be made a full professor at Harvard University, and the first woman to be the head of a department. While I’m always excited to learn about women I didn’t know about before, it also makes me a little sad, that I didn’t know about them til now. That’s why we do this work here at Being Bold, so that more kids can learn about more people whose stories aren’t being told, but really should be!